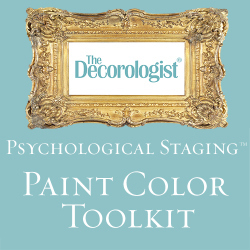 I often use a little of the color black in the overall color palettes I create for clients. 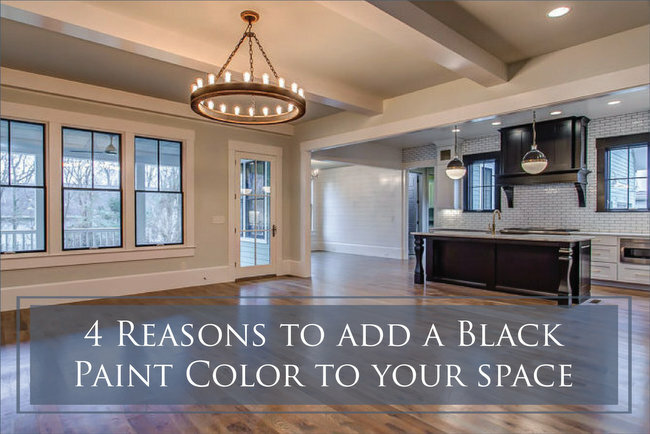 There are several reasons why you should use a black paint color in your home. I’m going to show you what those are by featuring black paint color placement in my recent collaborative project with Kole Custom Home Builders. 1) A black paint color adds formality and sophistication. Here was the build-out of the breakfast area of the new home. 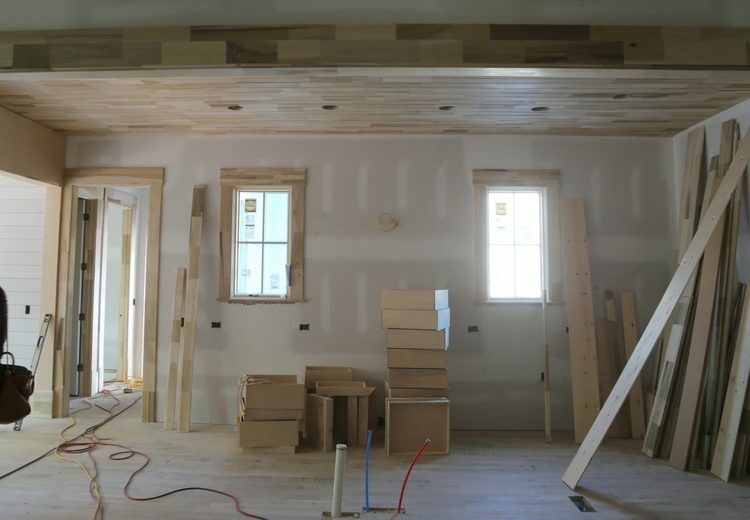 The builder used horizontal shiplap to create texture for the walls of this room. 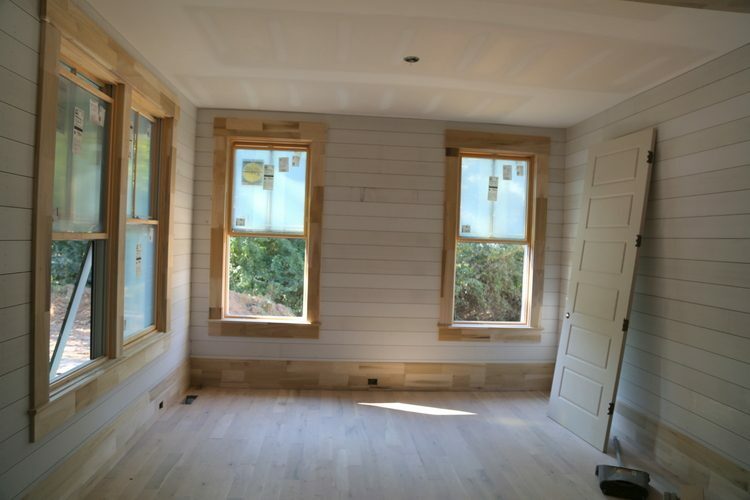 I specified white for the shiplap walls and trim, all in a semi-gloss finish for easy clean-up and light reflection. I had the painters top the room with a darkish grayed blue color and finish it out with a black paint color on the windows. Just the windows here, not the trim around the windows. 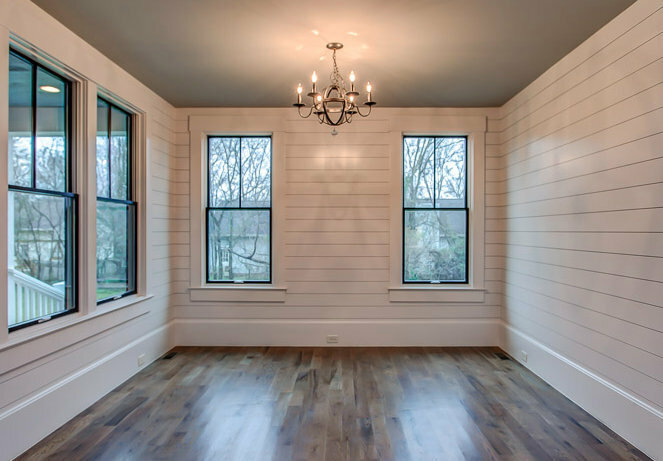 Even this informal breakfast room – it’s shiplap, afterall – looks a bit more formal with the eyeliner effect of a black paint color on the windows. 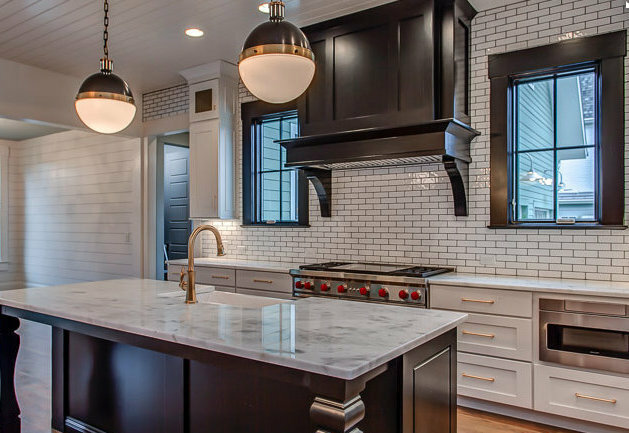 The after is a stunning example of using a black paint color in a white kitchen design. 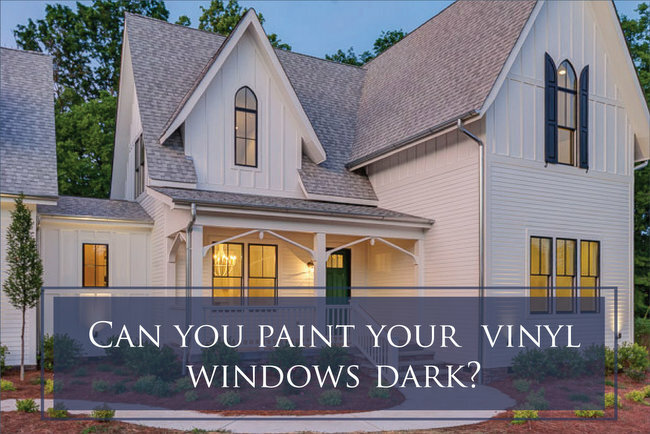 Here, I had them paint the windows AND window trim black for dramatic effect. The island is black, too, of course – which pulls out the veining in the countertops. That black range hood just tops it off beautifully. 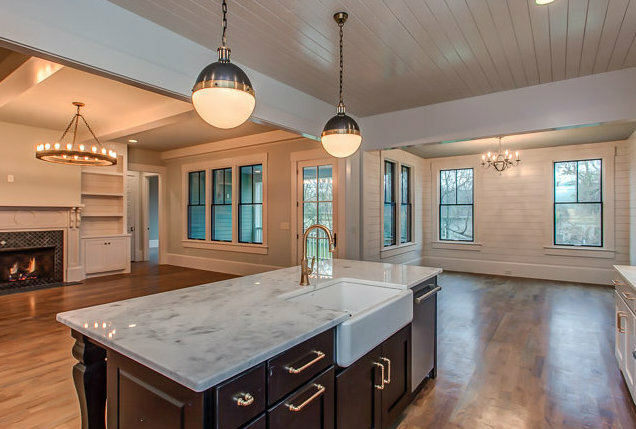 You’ll notice the shiplap breakfast room is just off to the left of this photo. I decided to have them paint ALL the windows of this house a black color, so it’s a thread that runs throughout the entire space. The light fixtures and the fireplace tile repeat the black color. Looking at it after the fact, I wish I had had them do the backs of the bookcases black, as well. Hindsight is 20/20 . . .
2) A black paint color emphasizes focal points. 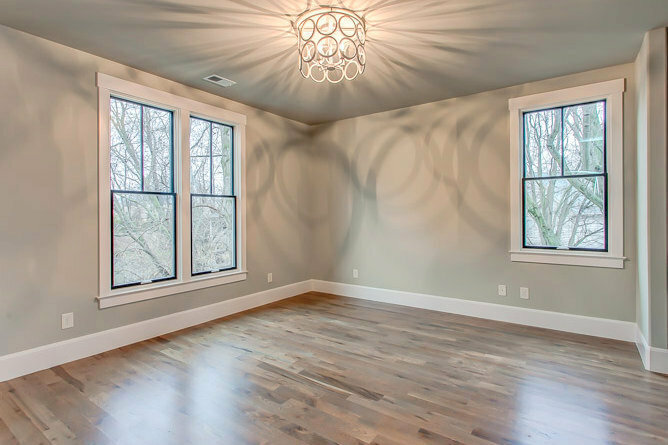 This upstairs bonus room needed a light color on the walls, as well as a focal point. 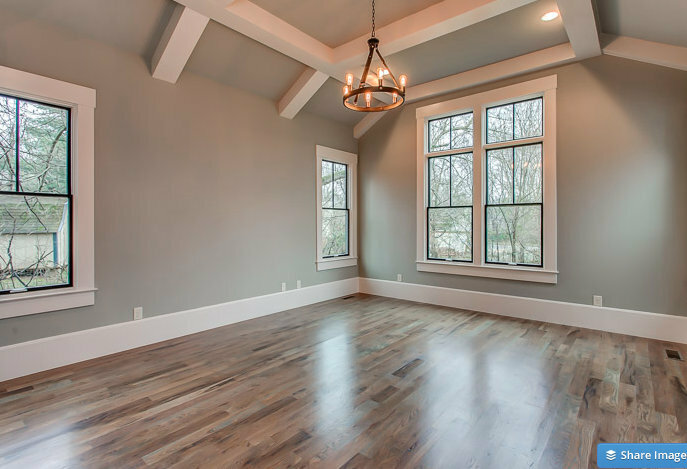 Light gray walls and white trim brightened things up, while the black windows, wood beams, and light fixtures draw you back into the cavernous room. The black fireplace tile definitely draws your eye. 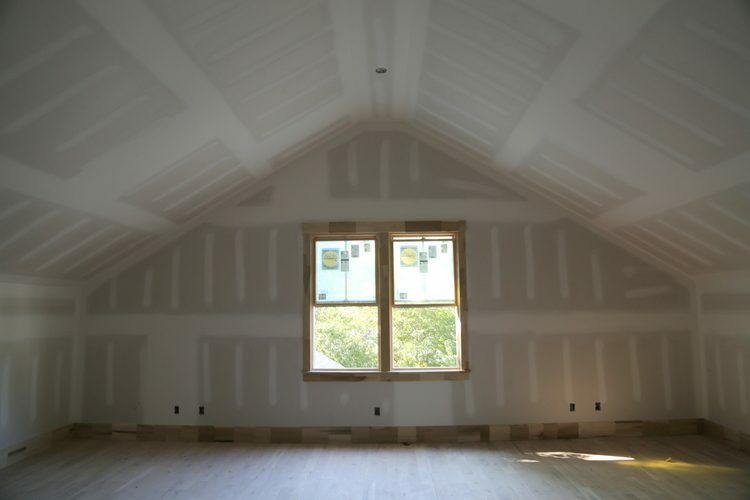 The master bedroom had lots of interesting architectural detail to work with. 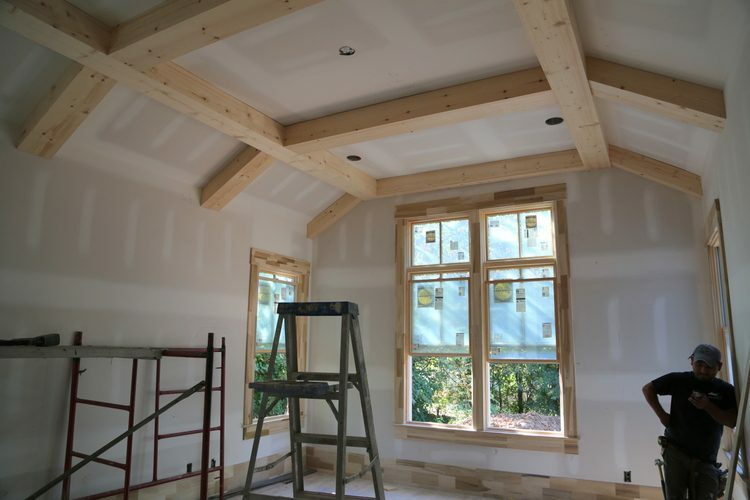 To avoid it becoming too busy, I specified a white paint color for the trim and ceiling beams. The black windows emphasizes the views and the warm gray paint color is a soothing choice for a master bedroom. 3) A black paint color can draw your eye through a space. A little black at the end of a hall or corridor can draw you down a hall or across the room, like the black windows you encounter when you hit the landing of the stairs. 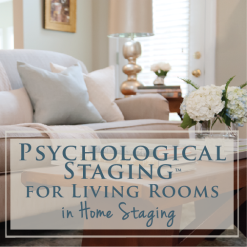 4) A black paint color can keep a space from becoming too saccharine. 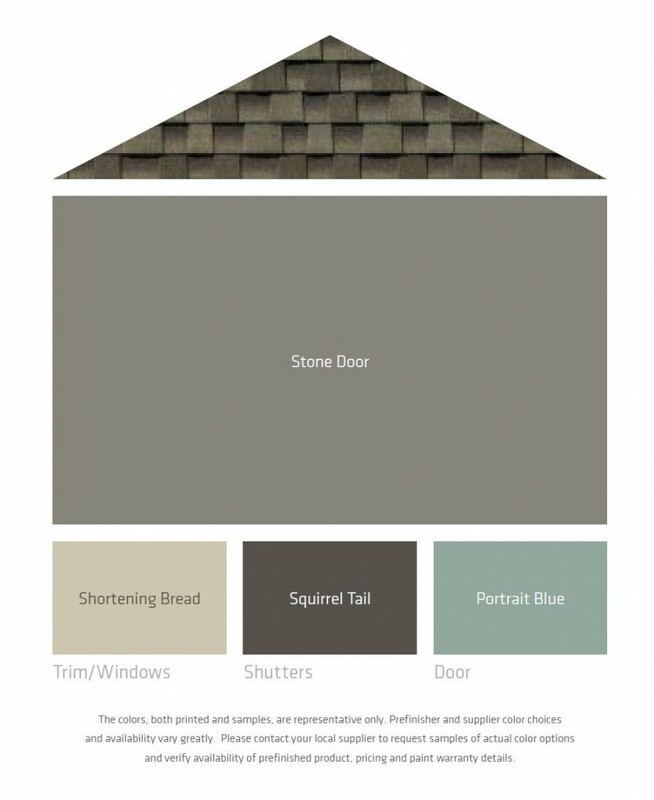 There’s lots of ways to enhance your architecture with a black paint color. Check out my posts about black doors, as well as other things you may want to paint black. 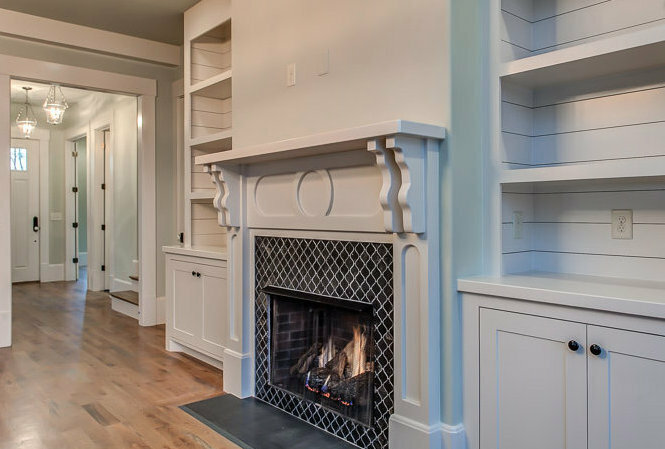 This entry was posted in Color Consultation and tagged black, black island, black-windows, color, colors, designer colors, fireplace, kitchen island, kole custom home builders, paint, paint colors, shiplap, the decorologist, tile, windows. What is that grayish blue color and where can I get it? And where is this house and is it for sale? I love the black “eyeliner.” I often find black to be too intimidating because I don’t want my home to look overly masculine and hard, but you used it with perfect balance and you are right, the result is sophisticated. What is the tile or brick used in the fireplace-it’s lovely! Great post! To me, not having some black in a room, whether it be paint or furnishings, is like a face without eyebrows! Another job well done,Kristie-I really like the black trim around the windows, that kitchen is gorgeous! 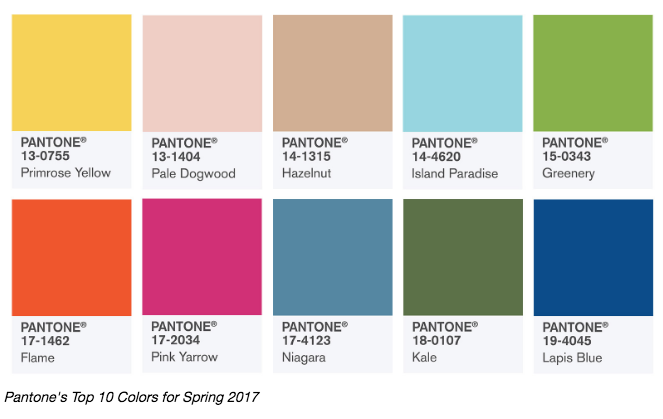 Beautiful color selections throughout! I like that you call the black windows “eyeliner” – it truly does give the room a little extra pop. 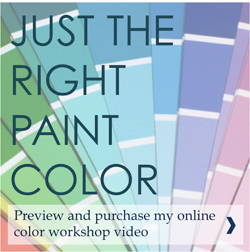 Thanks, Dana – this is why I want to do black windows in the upcoming showhouse. I’m wondering if they might change their minds if they saw this post . . . Your ideas are amazing – – and make such good sense. I like the way you explain the methods behind your decisions. Also the brown shade of black you used in the kitchen is so PERFECT because it’s a brownish-black – – a color seen more often in nature than super-dark black. I would love to know the color!!! Please share!! Kristie, this is absolutely stunning work you’ve done here! I could not agree more about the use of black. If I cannot use black paint, I try to add black accents or accessories to help ground a space. Beautiful post. Thank you, Joanne – I love what a little black can do, especially when it is repeated a bit throughout the space. What a beautiful home! 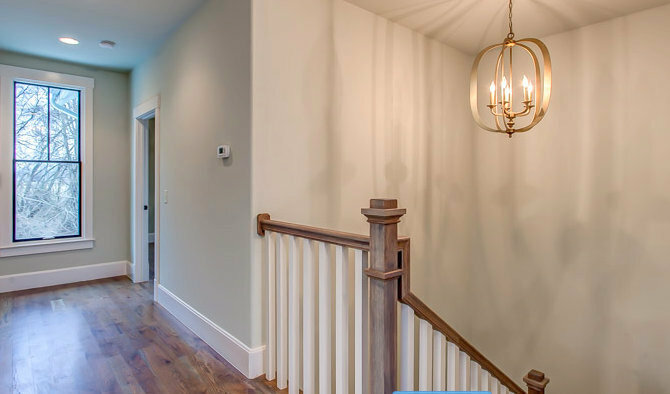 I love all the different light fixtures. The black definitely adds sophistication. Nice colours in the bedroom! Could you tell me the names of both colours? Love, love, love this project! I’ve been itching to use some black, especially for a front door. It’s so rare to see paintable window frames in SoCal – everything is vinyl. 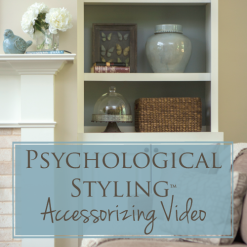 Love the “eyeliner,” the black fireplace tile, the black in the kitchen, etc, etc. Beth, yeah, the vinyl windows drive me crazy – it really limits what you can do. It’s why I refuse to replace my energy-inefficient original wood windows. They are so much prettier and have so much more character – plus, you can paint them whatever color you wish! 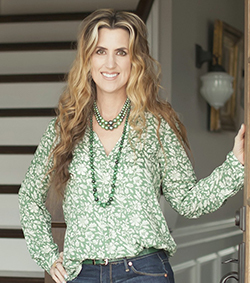 The windows in both my dining room and my home office are Benjamin Moore Prescott Green. The windows in our new upstairs renovation are black – both the windows and the trim around the windows (like the kitchen windows of this house). I love it! Love the flooring in this house! Can you tell me what it is? 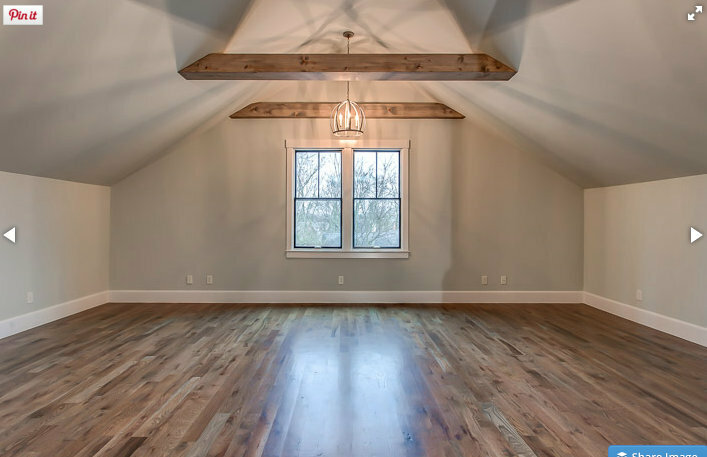 Cheri, the hardwood was a custom stain color – chosen by the builder. Isn’t it fabulous??? This home and your creativeness with color are amazing and stunning! Just lovely Kristie! Thank you so much, Ceil!!! 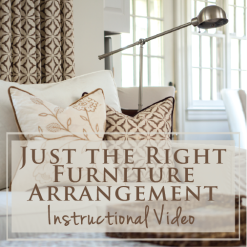 I would love to know where you can get the light fixture in the bedroom…. Beautiful home! Love the black trim also- like an eyeliner! Looking really good- really love the floors. Great job as usual my friend! Gorgeous Kristie! I love black throughout a home. 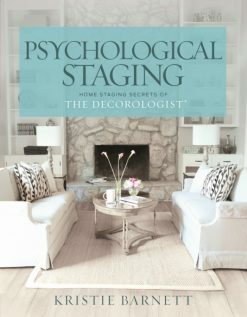 I am reading this at two in the morning (decorating for Spring gone wild lol) and I just love every single picture you posted. What an amazing transformation! The subtle use of black here and there on windows and doors looks so stylish. I seriously am considering grabbing my paintbrush and pulling an all nighter (insert chuckle). What a beautiful home! Great job! I am infatuated with the black windows! I have wood frame windows, with plantation shutters, and white vinyl mullions between the glass. Would it be hideous to paint the frame around the plantation shutters, and the frame around the window itself (when shutters are fully opened), and have the white mullions and shutters still??? I just love the “eyeliner” idea. Is that just a bad idea? Or could it maybe work? Love it! Was just noticing that my large kitchen window and trim needs to be painted. I think black just like you did in this kitchen would be perfect with my soft black soapstone countertops. My only hesitation is that while my window frames themselves are wood, the mullions are “faux” and inside the two panels of glass. They are white and I’m sure vinyl and I’m guessing there is no way to get them out to paint them. In any event, would love it if you could share the shade of soft black paint you used on the kitchen windows.